Two weeks into the use of SOLO I feel there is a need to review how the process and idea is working for my pupils. So with all year groups a starter with a survey to see how this approach has impacted on their learning. The survey is made in the unit flipchart and issued at the start of the lesson. More detail on the survey results in future posts. With all year groups a chance to zoom in to a national scale and look at the structure used to organise the three countries (UK, Kenya and Japan). The exercise allowed the use of a range of maps and pupils needed to extract information of matching areas. So a table was used to model answers before the table groups set to work. At this point answers were checked before individuals moved into the extension question shown. Classes correctly identified that they were now at a multi-structural level and how we could extend their answers. In some classes a graph was used to plot understanding at the start and end of the lesson, or a graph was used at this point to measure progress in the subsequent lesson 6 when the extended piece would be prepared. Sorry to any loyal readers… a week on. Last Tuesday I was tired and a slight dip after the highs of the #TMEssex experience. Staff from school who’d attended gave very positive feedback. SOLO lessons continued with some good momentum and pupil confidence is building in using terms to describe work and identifying “feed forward” ideas to move work on. Digital leaders team met up and went off in their sub-groups to work on own projects – I am. So proud of their progress in gaining independence. I left school after notice that my PM observation had been moved to this week. So preparation as usual that evening but checked that I had clear instructions translated for Thai pupil. Wednesday – form worked on the latest news quiz and I’m always encouraged by the general knowledge of several characters. Then it was time for my observation lesson. The observer arrived about 17 minutes into the lesson missing the pupil survey I’ve been doing this week to review pupil progress in the first two weeks of SOLO (see separate posts). We shared the international following this blog has linked to their lessons. Graphing knowledge and confidence before and after activities again reinforced short term progress, unfortunately the observer left before this (22 mins in room). The lesson felt good with lots of progress for both myself and TA working with Thai pupil for the first time today (later feedback disagreed – areas to work on…). An “up” day after the positive feeling from the observation to start the day. Lots of surveys, peer assessment with pupils questioning how to improve or how had they and a peer given their work different SOLO stages. Using reading out with groups as concerned about literacy levels of Year 7s (supported in workshop later). Line management meeting reinforced all the recent events I have been involved in and the positive contributions they are having in my teaching. Then workshop where Year 7 literacy levels and attainment potential was explored. Afterwards feedback on the observation – I was gutted and the day’s high crashed. Spoke with my mentor and HoD and after a while I sent in a request for a full lesson observation. A low evening I admit. Friday – a slight lie in, prepare Monday’s lessons and then packing for my trip to Edinburgh with Promethean as a teacher advocate. A good flight and bus ride to the hotel. The evening was dinner and lots of chatting to get to know the group who had met last year. It was great to gather information about Twitter confidence as I would be presenting about this on Sunday morning. Saturday / Sunday – lots of talk, shared ideas, gelling as a group and trying out technology. This was a great opportunity and I’m so glad I applied. 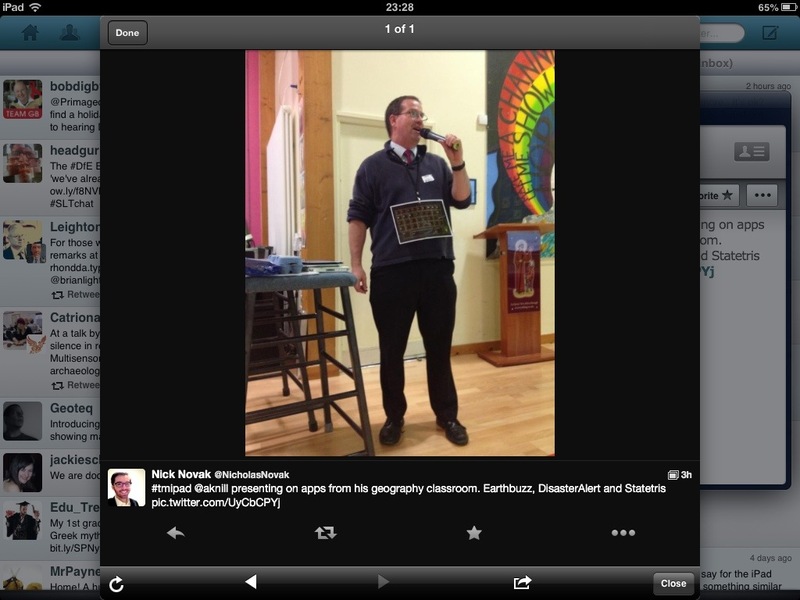 On Sunday I led on two topics: pupil digital leaders and using Twitter. I enjoyed presenting to the group and reusing materials I had prepared for previous events and a new twitter presentation which was mailed and shared with a teacher in. N. Ireland who was presenting to staff this week. An afternoon visit into a cool Edinburgh city centre and the wishing others a good flight as we went our separate ways to: Shetland,Southampton, London, Stansted and N. Ireland. Facebook and twitter has already seen lots of shared chats and sharing of resources. Saturday 17/11 to Sunday 25/11 – a week in the second half of the Autumn term, bound to be impacted on by germs (it’s the time of year!). Somehow, over the last few months my online networking has brought a wealth of opportunities, they seem to focus on the month of November and this week has been a good example. Meeting for the first time in London for the ICT group of my subject association – the Geographical Association. It’s taken me 25 years to become an active member of the GA. I’ve contributed online resources before but after applying earlier in the year I was awarded with a place on this group. Daunted at whether I’d have enough to offer and nervous for the first offline meeting I arrived early. Once the meeting started I felt welcomed and soon found lots of ways to participate, while in awe of some of my fellow group members achievements. The highlight for me was where we brought ideas to the group. Suddenly my twitter networking and wide use of apps came to the fore, and I felt I had a lot to contribute. More details to follow on this in future posts. Home after a diversion to Shoreditch to visit my cousin who is providing a Japanese pub food menu for Brewdog. A pub where beers are respected and what a range on offer. Chatted to my cousin, some lovely JFC and a walk back to Liverpool Street station through Brick Lane and Spitalfields – what a great atmosphere and so much going on – clearly an area to explore more. Last minute tweets and emails with co-host of #TMEssex Martin Burrett (@ICTMagic) so that Monday’s event would go as smoothly as possible.The anticipation was rising. Ooh a slight fly in the ointment a bursitis forming on left elbow that would have to be treated respectfully. Teaching first with a suppressed (just) excitement about the event ahead. Three year groups and four lessons where SOLO lesson 5 took place (see separate post) to come. We reviewed the learning and impact of SOLO so far in 2 weeks – lots of positivity from the groups. In my non contact time rest had a part to play because pace was going to be vital today. End of the school day, some marking and preparation. Then off to the city of Chelmsford, I arrived too early really but this allowed a chance to stand reflect in reception before all three hosts met to review our setting and tech. checks. At this point my role felt slightly superfluous but I helped where I could. 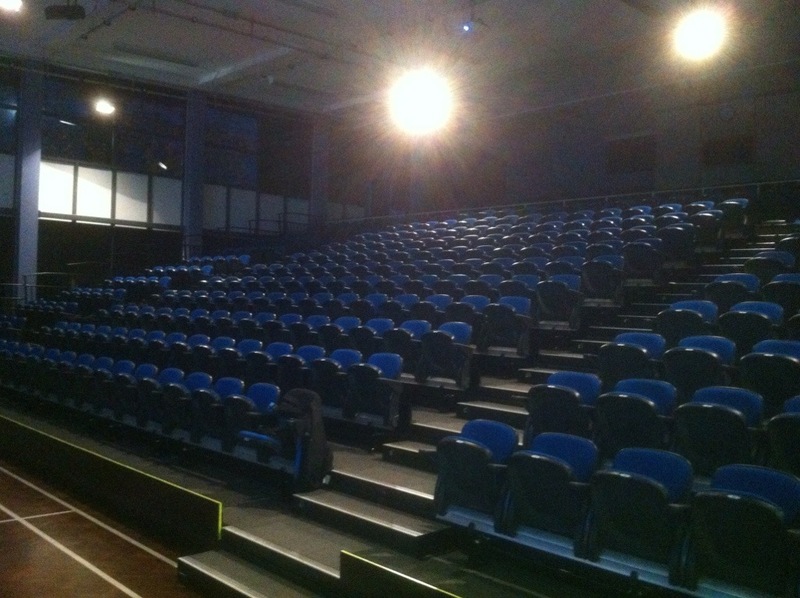 What a great setting – comfy seats and tech with great support and of course Martin had the toy camel. About 5 audience members started to arrive, I chatted to people and found out if they were Teachmeet first timers; introduced speakers I know to Martin for tech setups. People I have met online were greeted for the first time offline and soon there were many people enjoying and tweeting about the great food provided by Tom Sherrington (@headguruteacher) our host and his school KEGS. 6 o’clock approached – time to start. Tom introduced the evening and he and Martin took the lead. First on the fruit machine ….. Me- 7 minutes on SOLO through the topic of Digital Leaders. I ad hoc-ed slightly and involved my audience and I’d like to publicly thank; my Head of Department Phill Crossley (@pcrossers); James Abela, fellow teachmeeter and Digital Leader fan (@ealweb) and finally Vic Goddard (@vicgoddard) a well known Headteacher who was on the telly! They volunteered answers, then found themselves stood at the front with me and demonstrated the art of linking facts by holding hands in public – thanks for being good sports. Pictures were taken by audience members – search #TMEssex on twitter if interested. Later I got to do my short 2 minute Digital Leader talk – again the audience had to stand, the related tweets were entertaining, but the key thing is that I believe the point about Digital Leaders being applicable in most schools was made through action not rhetoric. Other speakers? 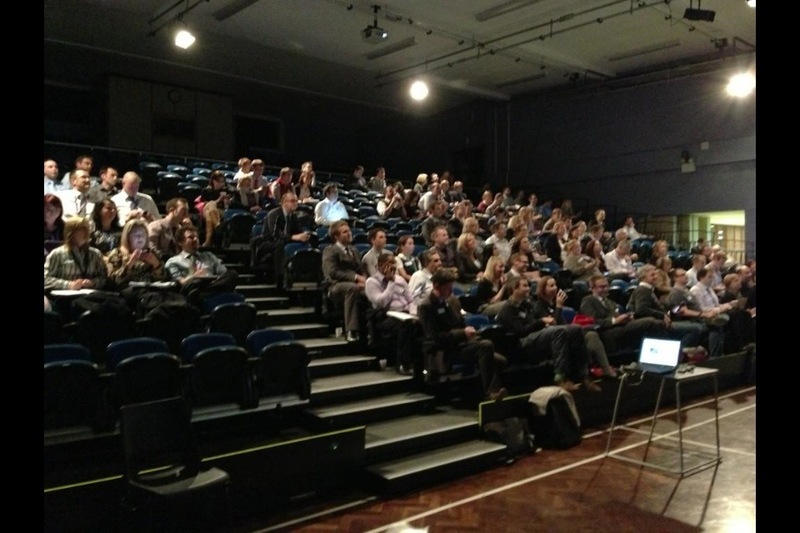 Oh yes, we had many, the quality was fantastic and the best Teachmeet I have attended yet (biased? Yes, but even so…) many new ideas to follow up on,a chance to meet many who have inspired me online before or I will be looking to more in the future. By the end – physically and emotionally wrung out and that elbow(remember) was throbbing but, we had done it. We put on an excellent CPD event, the only question now,when shall we do it again? All of this and discussions with the science, PE and English SOLO crowds meant I trialled individual lessons last summer which I shared with my Head of Department. So it’s the second half of the Autumn term (UK) and now it’s time to move my focus with classes at Key Stage 3 from literacy skills to making progress and developing an integral model that they are full participants in. So the decision is made to trial SOLO as an approach across the Geography department at Key Stage 3. Staff training and shared IWB Promethean ActivInspire flipcharts will be needed that I will lead on. A standard format differing only by the country studied. The introductory lesson starts with a plain A4 sheet to identify own prior knowledge with an emphasis on “secret squirrel” and not sharing answers with others. The classes in all cases focused well from the individuals who said – wha write if I don’t know anything? Reassured that a start of a unit that was perfectly ok. Others wrote a range of facts, even surprised when told that anything goes … Japanese cars for example. The sheet was then turned over, a resource to return to later. This lesson has been shared with three departmental colleagues, two have had direct training about what SOLO involves in our interpretation so far. The idea has also been shared with a drama colleague to look at application to practical drama skill acquisition as well as written work developing detail at GCSE.